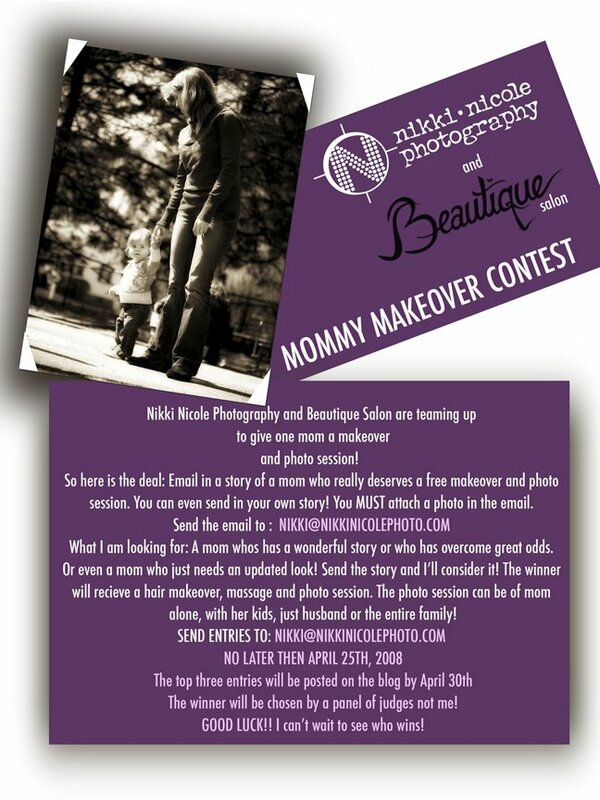 NIKKI NICOLE PHOTOGRAPHY: CONTEST ANNOUNCMENT!!!!!! FIRST ANNUAL MOMMY MAKEOVER CONTEST!!!!!! this is a great idea Nikki! yeah, i second that.....a great idea! loved the baby photos and those carnival shots are killer! thanks jean and robin!!! i hope to get lots of entries!!!! what an AWESOME idea!! I love it!! !